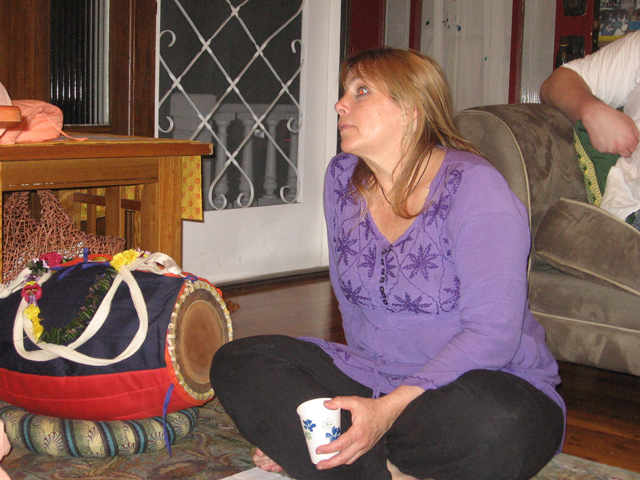 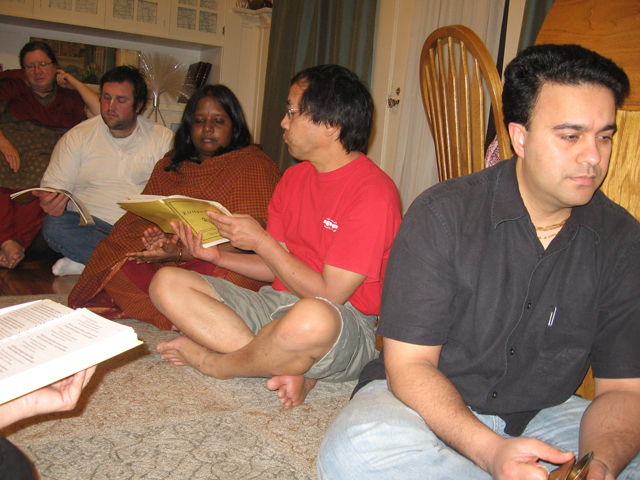 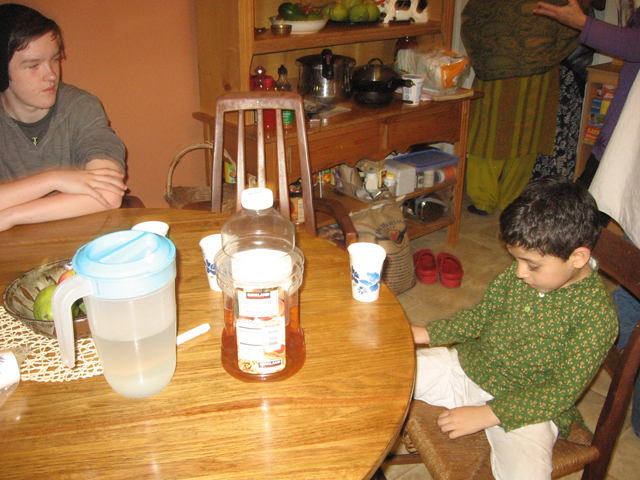 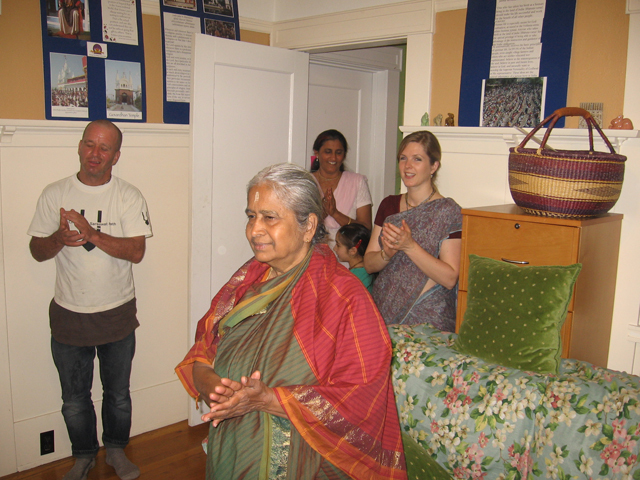 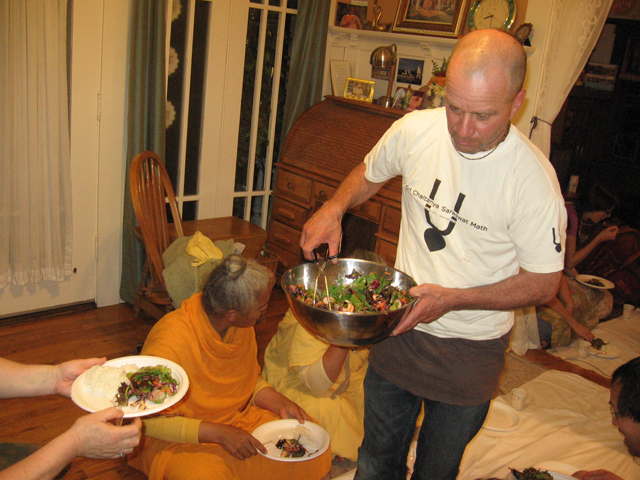 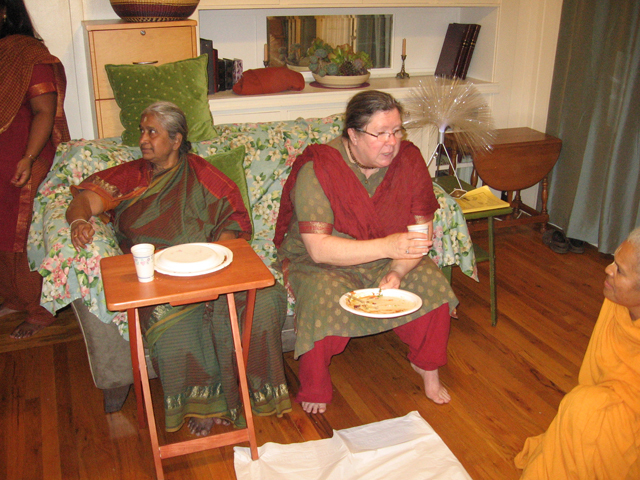 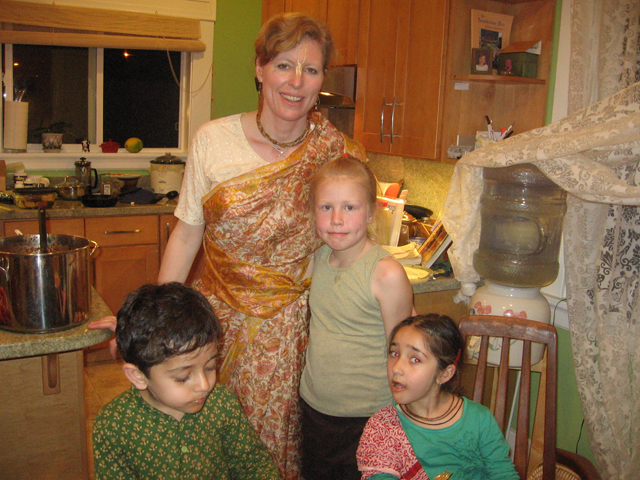 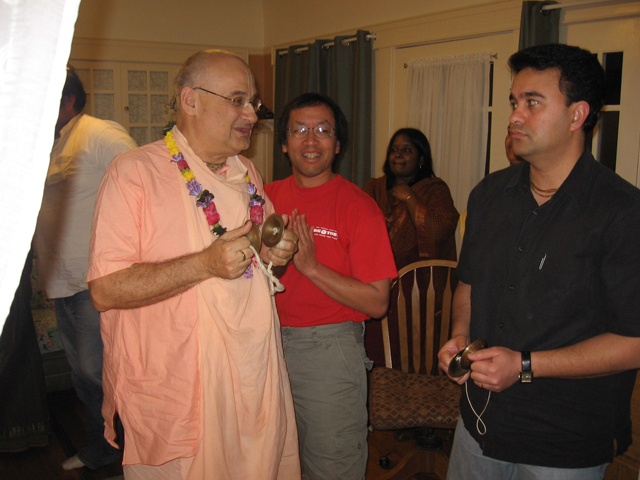 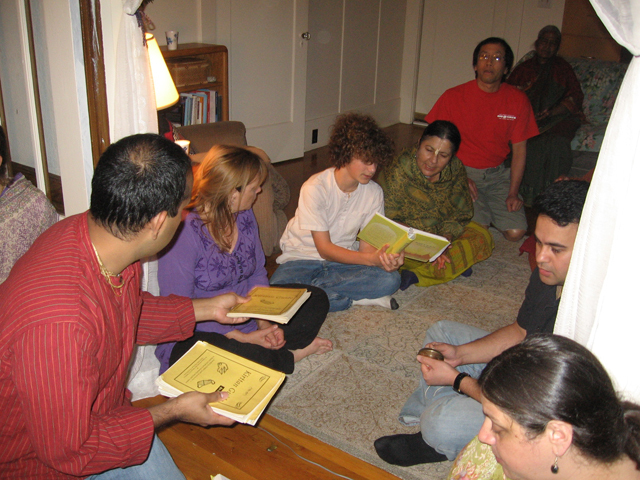 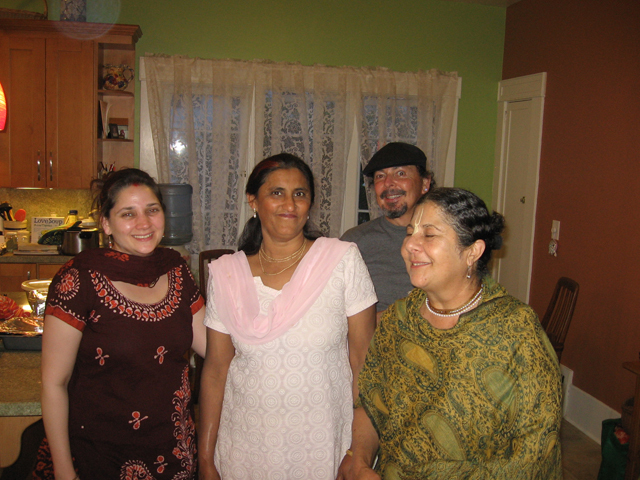 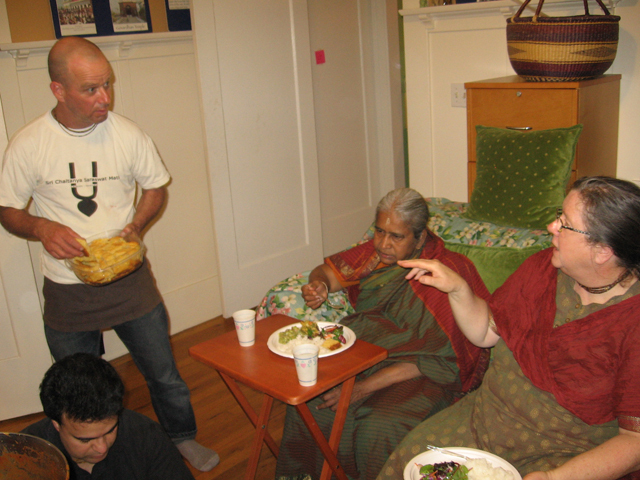 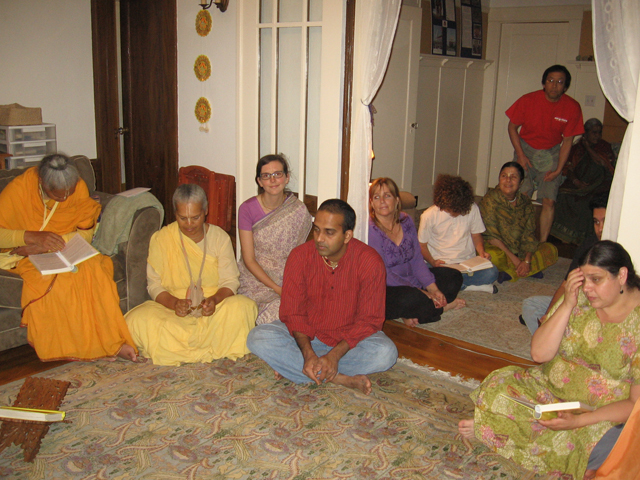 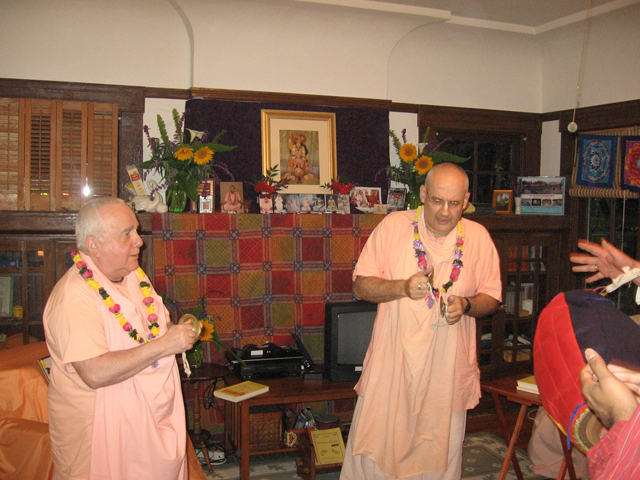 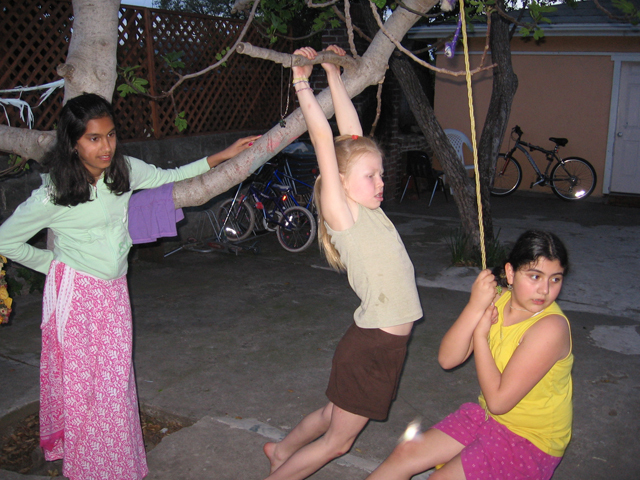 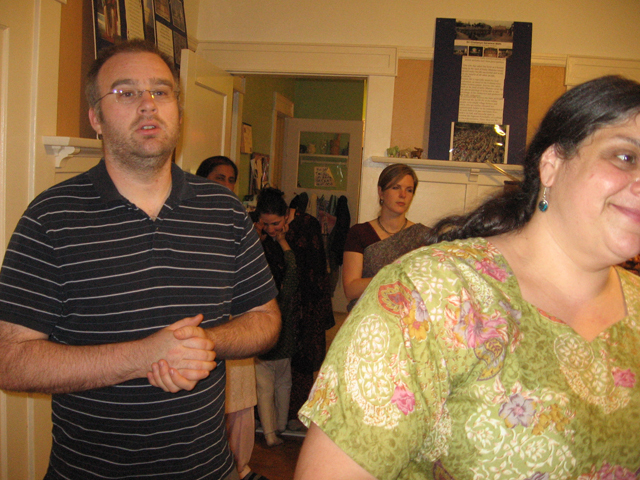 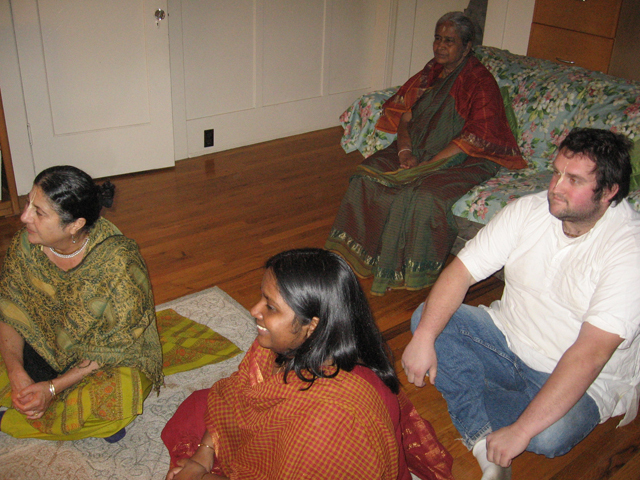 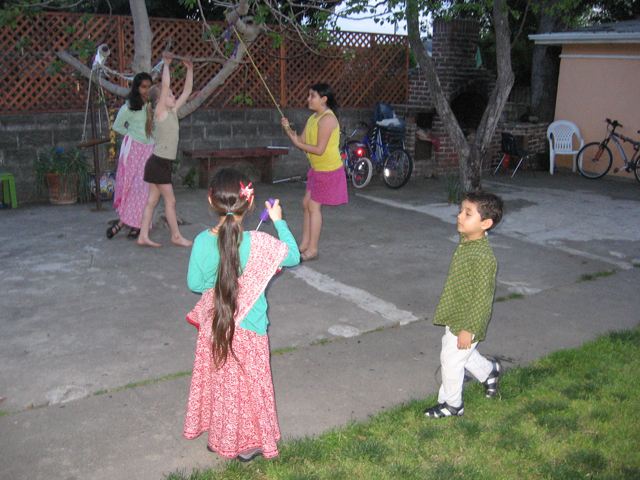 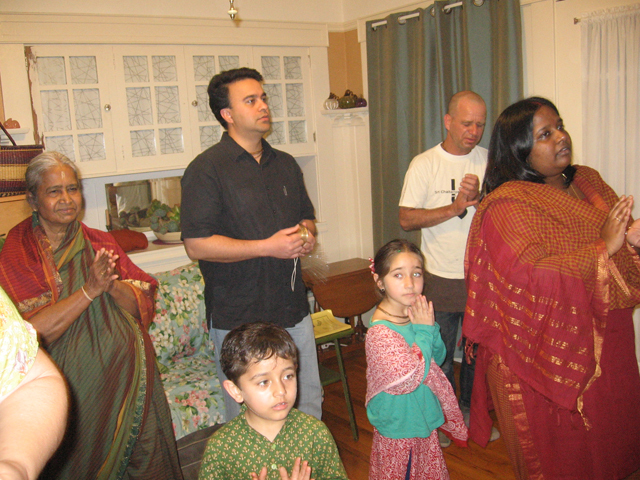 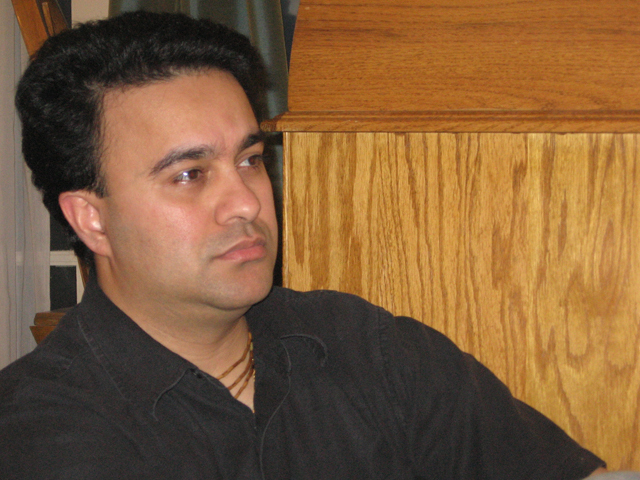 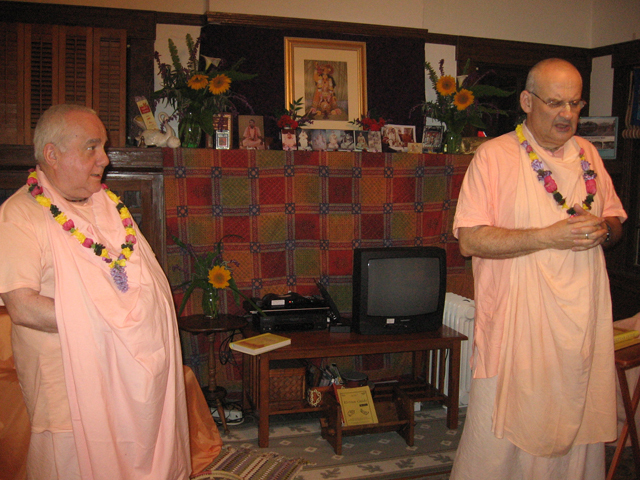 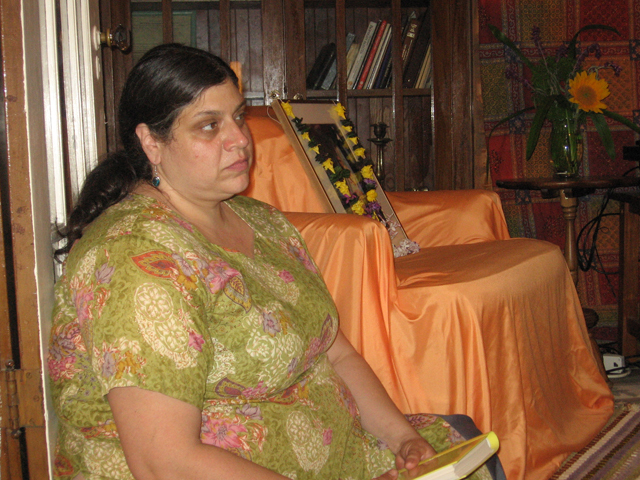 Last Spring Braja Mohini Devi Dasi and Jayanta Krishna Prabhu invited Sripad Bhakti Madhava Puri Maharaj to their home in San Jose. 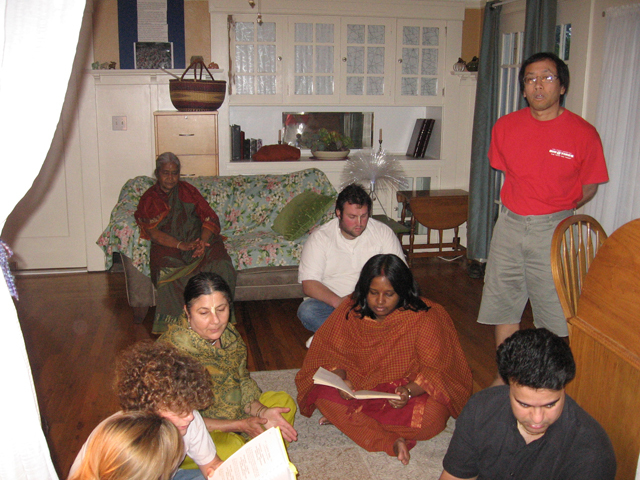 Their elegant Craftsman bungalow, the former 17th St. temple seemed to glow with affection and dedication. 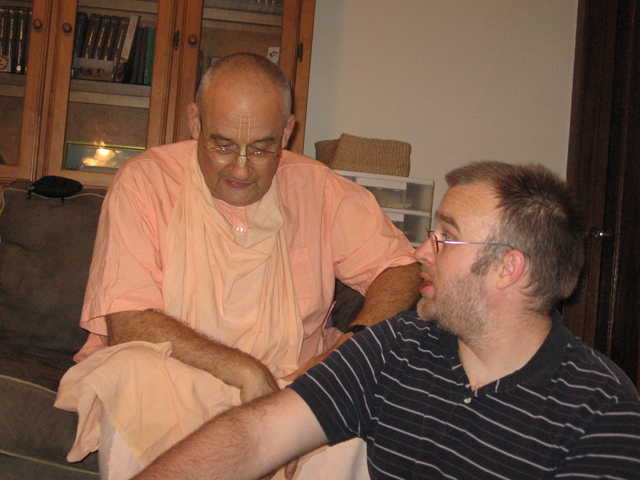 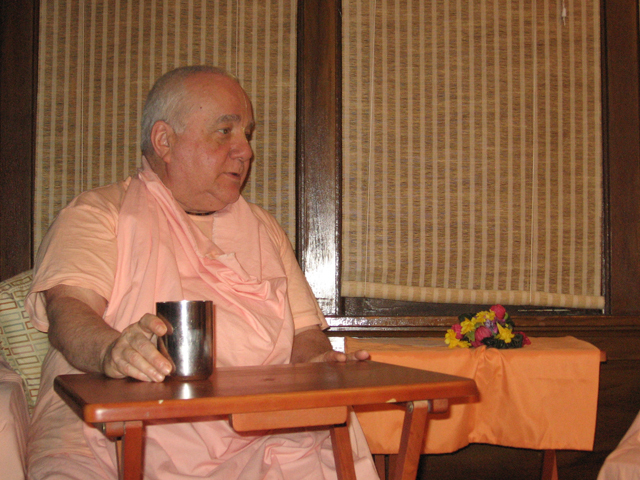 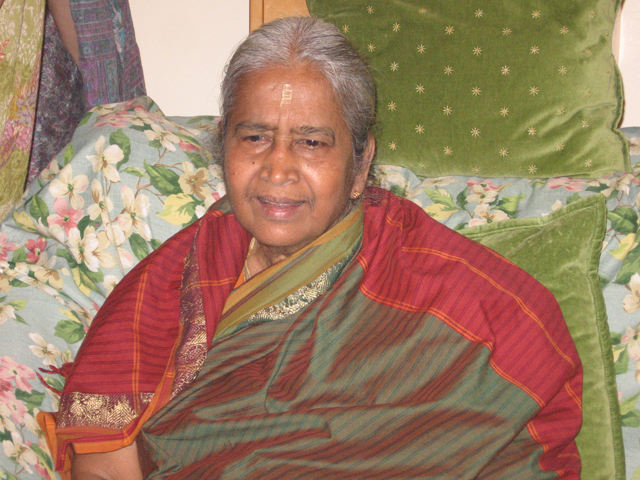 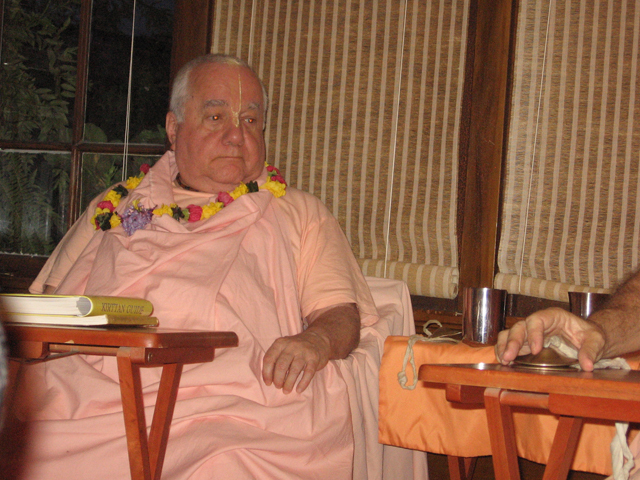 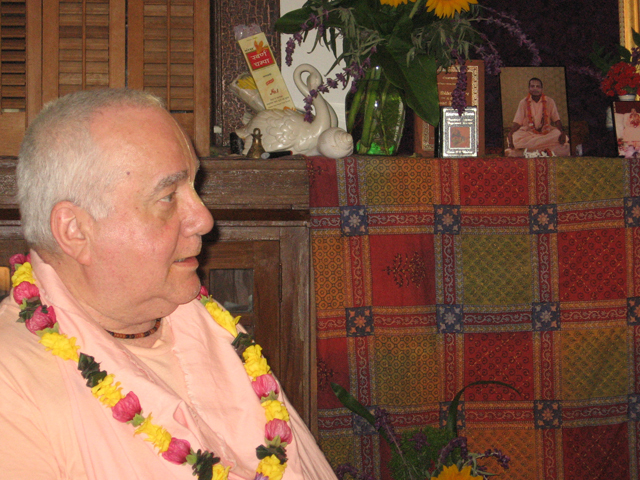 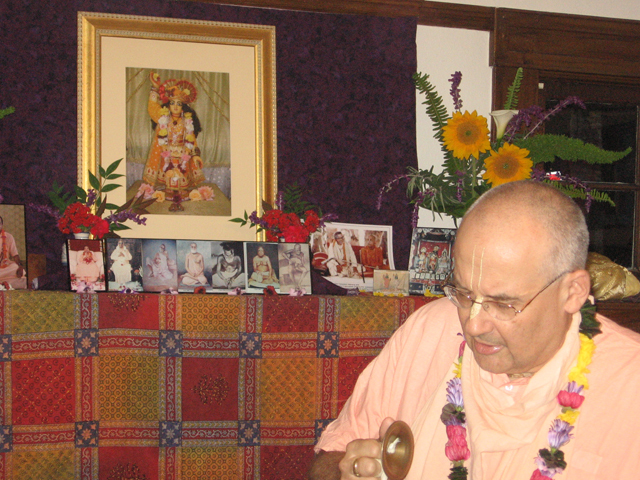 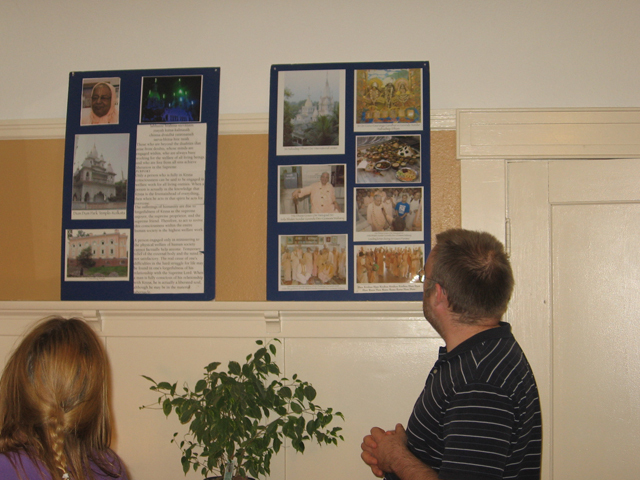 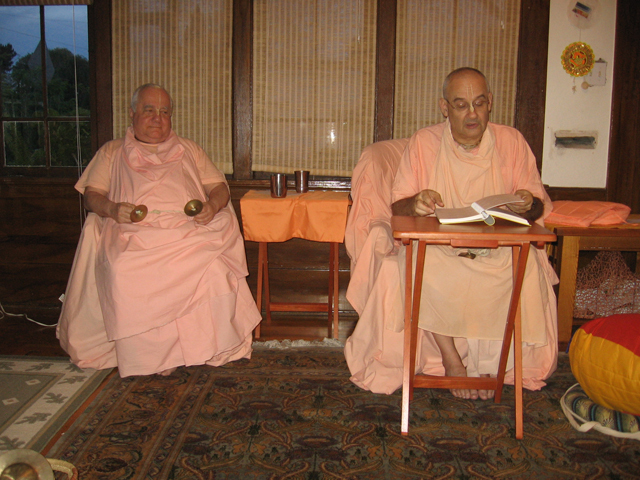 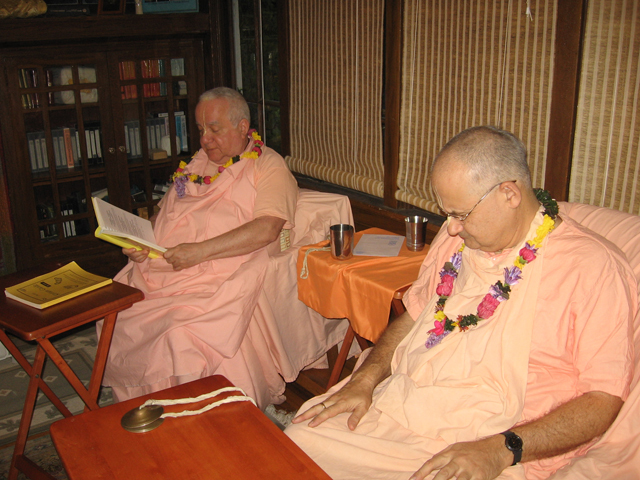 Srila Govinda Maharaj personally visited that house as for many years it was the center of our devotional community. 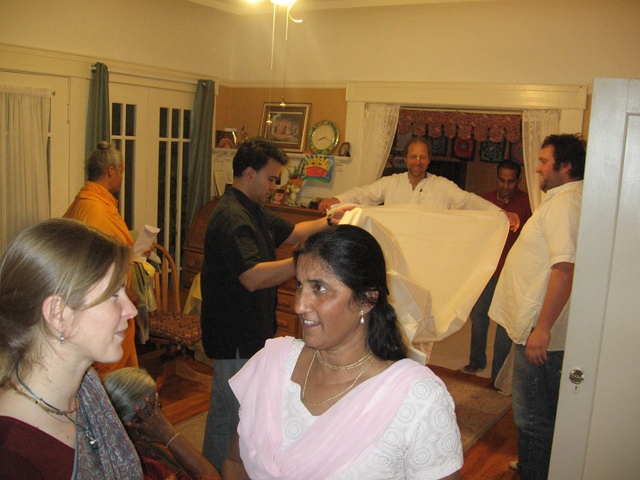 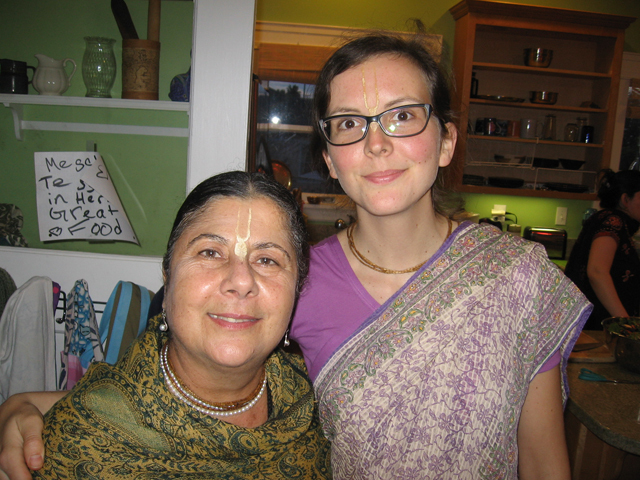 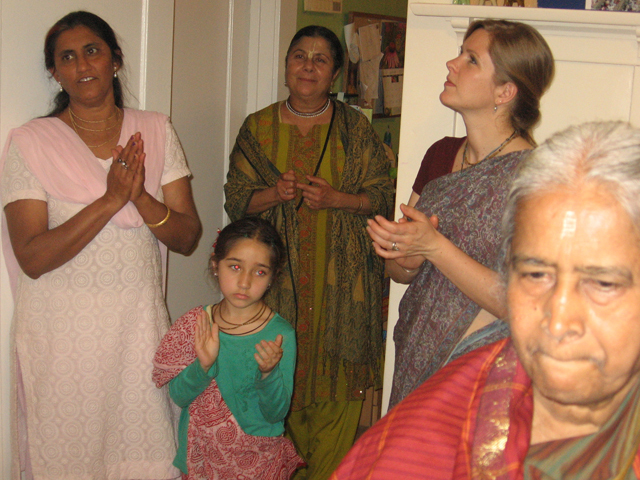 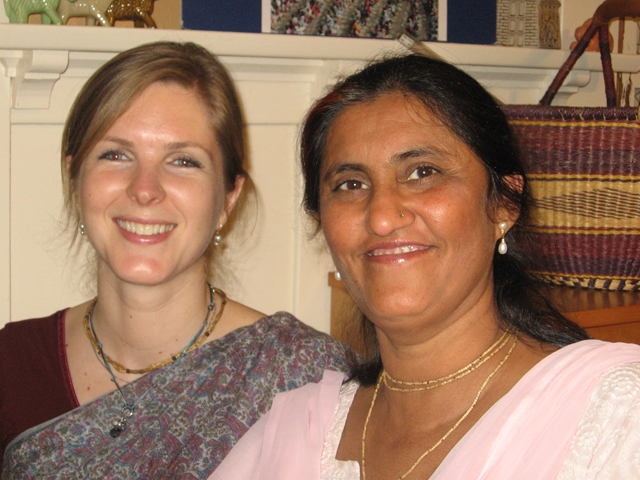 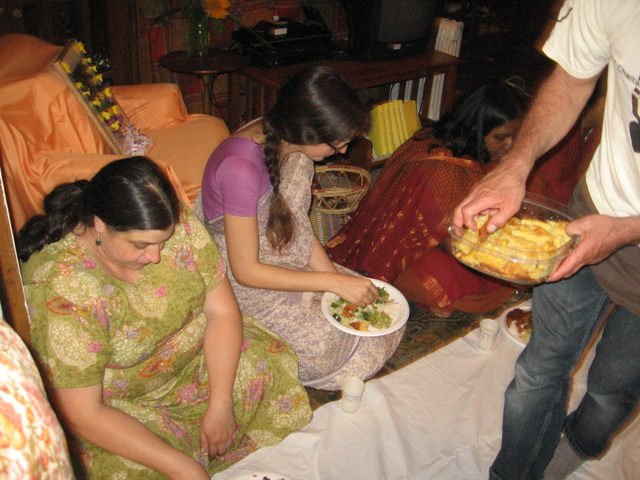 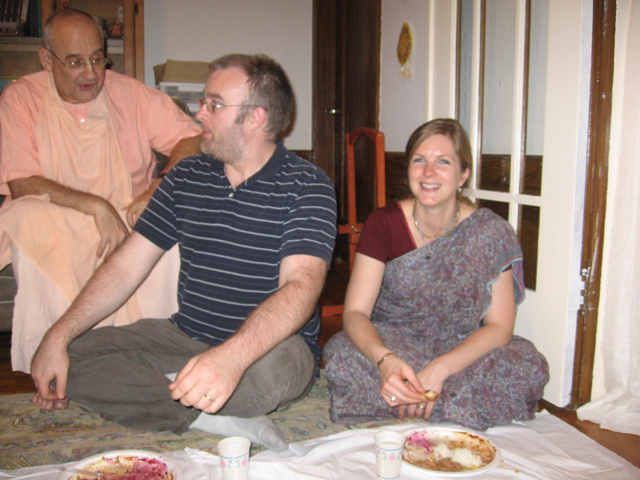 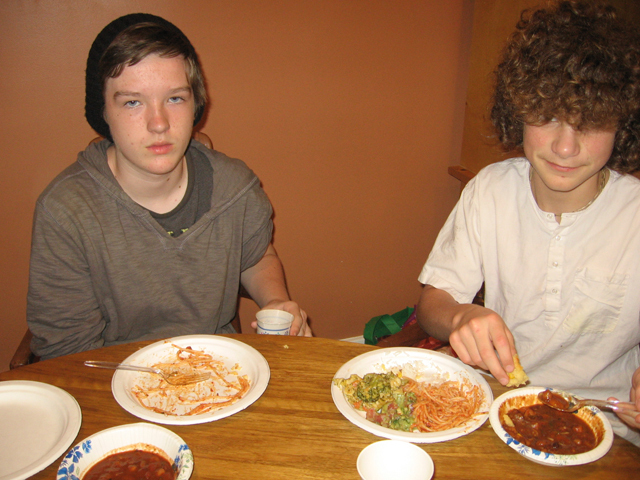 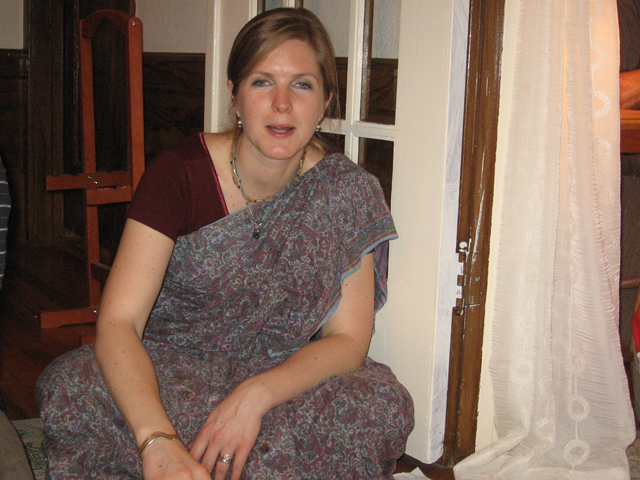 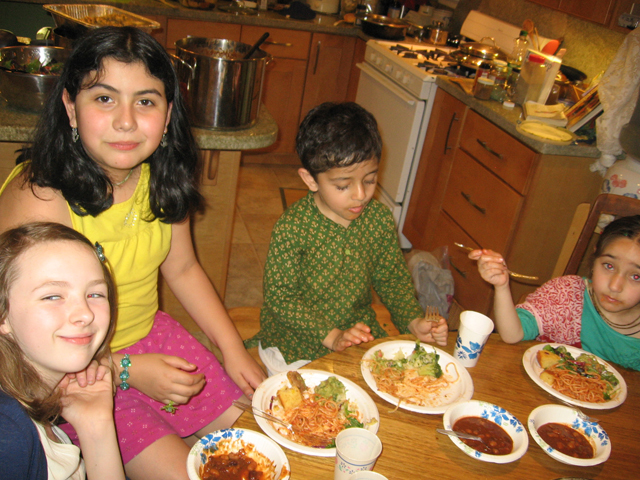 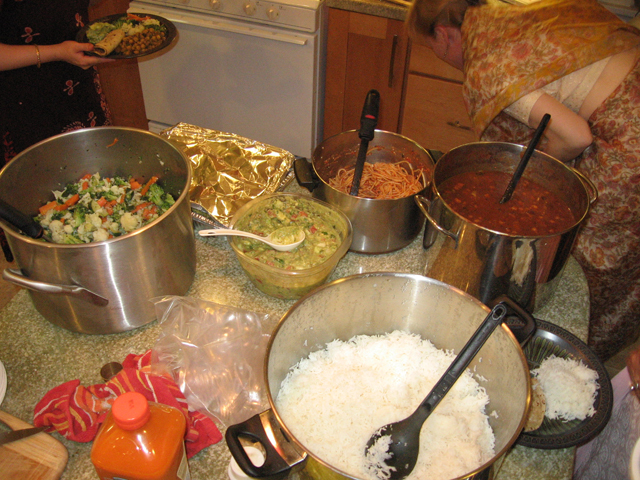 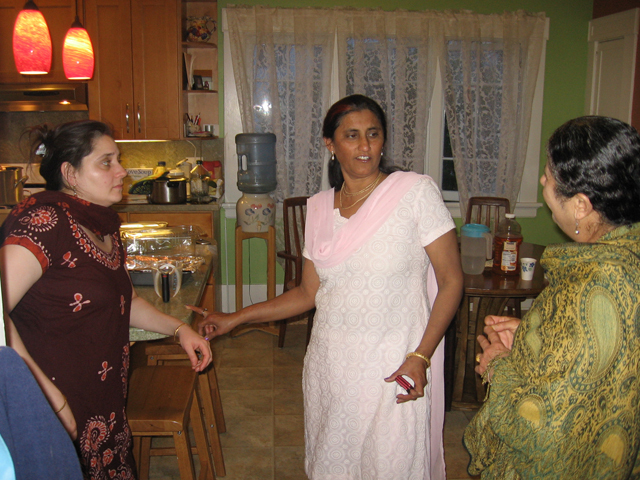 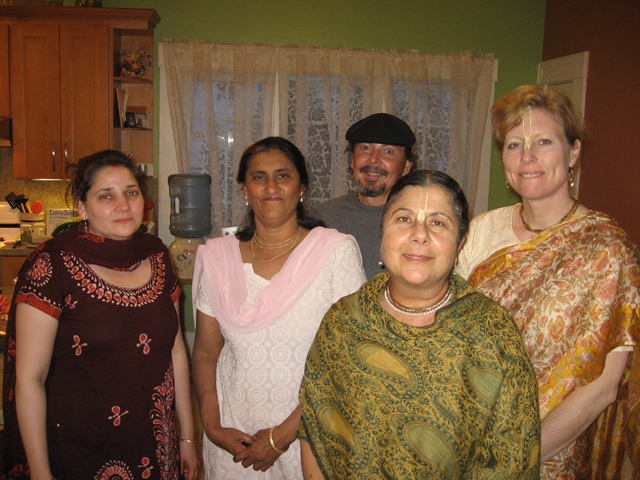 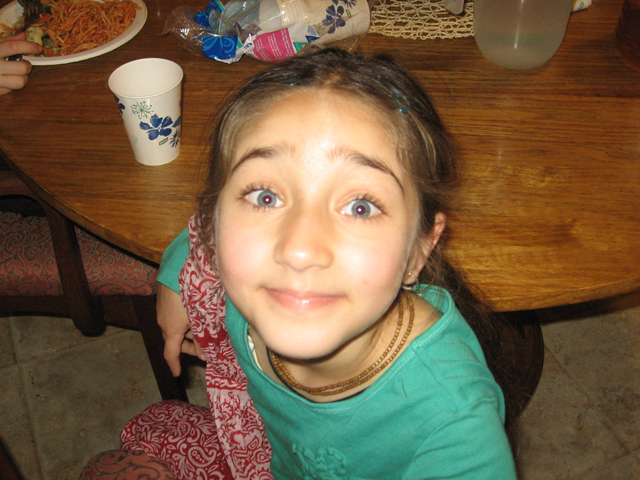 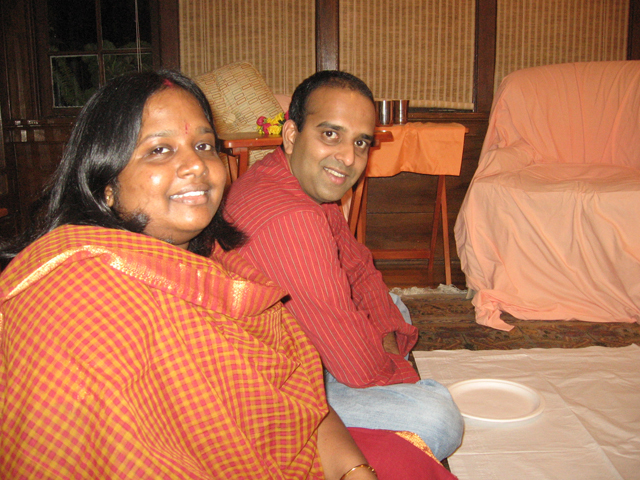 Everyone was therefor very happy to reunite in that blessed house for Harinam Sankirttan, sadhu-sangha and prasadam. 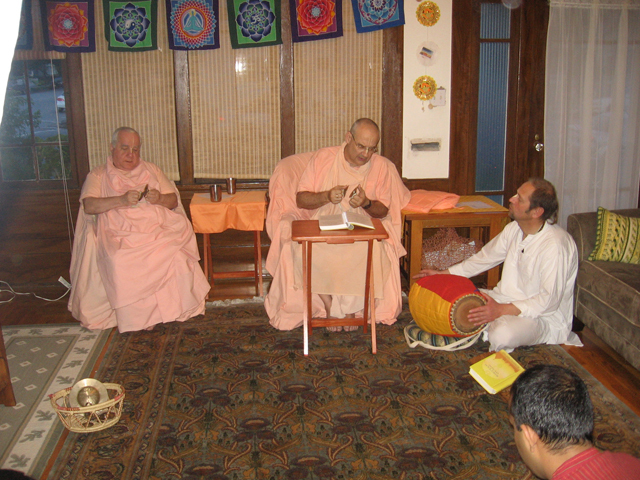 Sripad Bhakti Chandan Parvat Maharaj had just returned from Sri Nabadwip Dham and enthusiastically told stories about his travels, especially about the grand inauguration festival in Sri Ekachakra Dham.